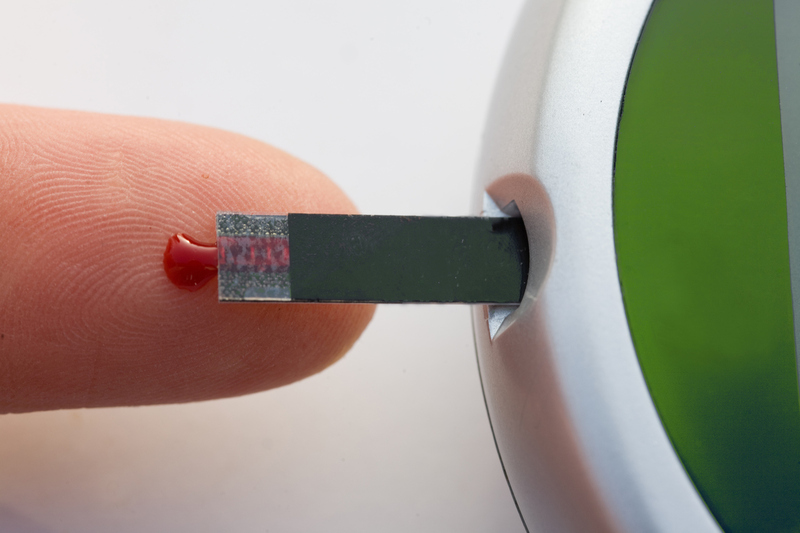 Advances In Diabetes Care Face Hurdles In Coverage, Access : Shots - Health News While the technology is moving rapidly, insurance, regulatory, and supply challenges make it harder for patients to quickly access the latest medical advances to manage their condition. Pricking your fingers may someday be a thing of the past for diabetics as new technologies aim to make blood sugar regulation more convenient. For people with diabetes, keeping blood sugar levels in a normal range – not too high or too low – is a lifelong challenge. New technologies to ease the burden are emerging rapidly, but insurance reimbursement challenges, supply shortages, and shifting competition make it tough for patients to access them quickly. One new product is a fast-acting insulin from Novo Nordisk. It is designed to help to minimize the high blood sugar spikes that often occur when people with diabetes eat a meal containing carbohydrates. This new formulation, branded "Fiasp," adds niacinamide (vitamin B3), which roughly doubles the speed of initial insulin absorption compared to current fast-acting insulins taken at mealtime. This new insulin hits the bloodstream in under three minutes. Another advance is Abbott's new monitoring device called the FreeStyle Libre Flash. It's new in the U.S. but has been available in Europe since 2014. It's a round patch with a catheter that is inserted on the arm for up to 10 days and a durable scanning device that the user waves over the patch to read the level of sugar in their tissues, which reflects the blood sugar level. The Libre works a bit differently than the two currently available continuous glucose monitors (CGMs) made by Dexcom and Medtronic. The Libre doesn't require users to prick their fingers for blood tests to calibrate it, whereas users of the other monitors must perform twice-daily fingerstick calibrations. Also, the Libre is approved for longer wear – 10 days (14 in Europe) versus seven days for the two current CGMs. And, it is likely to be considerably less expensive, although Abbott isn't providing cost information for the U.S. just yet. In Europe, the Libre system costs about four Euros a day (about $4.70). But, unlike the current devices, the Libre doesn't issue alarms to users when their blood glucose levels get too high or too low. And the U.S. version also doesn't allow for the "share" capability, by which loved ones can follow Dexcom glucose monitor users' blood sugar levels remotely via a smartphone app. The Libre has been extremely popular in Europe among people with type 1 diabetes. There, fewer people use traditional CGMs compared to the U.S., in large part because they are not frequently covered by European insurance. Type 1 diabetes requires regular insulin doses to allow cells to use glucose, because the pancreas does not make any of its own. With type 2 diabetes, the insulin being made doesn't adequately meet the body's needs. About a quarter of people with type 2 diabetes take insulin, and of those, a smaller number take fast-acting insulin before meals. Those doses can lead to low or high blood glucose levels if not matched perfectly by timing and amount to the meal's carbohydrates. There's lots of room for user error. University of California, Los Angeles endocrinologist Dr. David T. Ahn, who specializes in diabetes technology, believes that in the U.S., the Libre will be more useful for people with type 2 diabetes. Most people with type 2 do not use CGMs and may also not perform frequent fingerstick checks. "I think it's something that really empowers people, and that's what's really exciting, Ahn says. "[Y]ou literally see firsthand what exercise, diet, rest, and stress do to your blood sugars." Of course, he adds, "There's benefit really for everybody, but the most important question is where is the cost justified. I would say that at least right now, it probably is only worth the cost for someone on insulin, especially on fast-acting insulin." Jared Watkin president of Abbott Diabetes Care Division, tells Shots that the Libre was designed for people with either type of diabetes who require frequent glucose testing, and the lack of alarms was intentional. Research shows "alarm fatigue" is one of two main reasons many patients mention for not wanting to use CGM systems, he says. The other reason is cost. He points out that research on the Libre has also shown that people using the device achieve better glucose control and experience fewer low blood sugar episodes overnight compared to fingersticks alone even without the alarms, presumably because they're making more insulin dose adjustments. Aaron Kowalski is the chief mission officer for JDRF, formerly the Juvenile Diabetes Research Foundation, which funds much of the research into diabetes technologies. He says it will be interesting to see how U.S. patients with type 1 diabetes who haven't adopted CGM take to the Libre. "If you're coming at it from fingersticking, it makes massive sense ... For some people with type 1, I think it will be a really good option." Both continuous glucose sensing and fast-acting insulin are critical components to the development of so-called "closed-loop" or artificial pancreas systems, which aim to automate insulin delivery to the point that patients themselves don't need to make complicated and error-prone calculations about how many carbs are in their meals or how much to cut back their insulin doses for exercise. 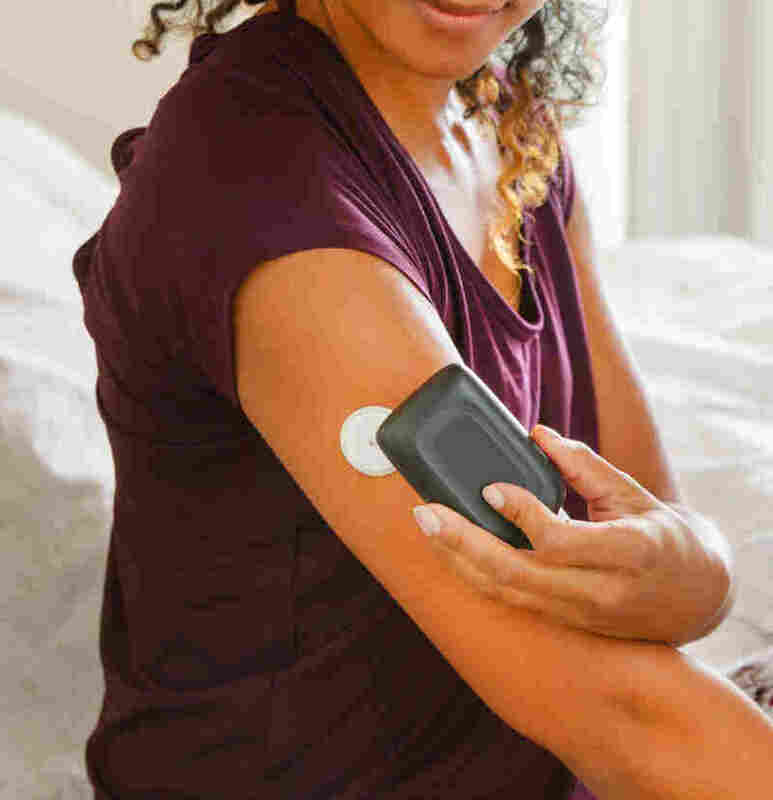 In September 2016, The U.S. Food and Drug Administration approved Medtronic's 670G, the first device that partially accomplishes the closed-loop goal via an algorithm that allows the system's CGM to instruct its insulin pump to cut off delivery if the user's blood sugar drops, or increase it if the levels go too high. Several other companies are working on similar technology. One of those, a start-up called Bigfoot Biomedical is working with Abbott to use a next-generation version of the Libre's sensor. Except for Medtronic, the other major closed-loop competitors – Insulet, Tandem, and Beta-Bionics – are all collaborating with Dexcom. At the same time, a group of do-it-yourself hackers has figured out how to create their own closed-loop systems using older equipment and instructions that are freely available. Since that endeavor isn't regulated by the FDA, people who have done it – believed to number in the thousands at this point – proceed at their own risk. No major problems have been reported. As might be expected, not everything in this field has gone smoothly. Due to both high demand and the fact that one of Medtronic's manufacturing plants located in Puerto Rico was damaged by Hurricane Maria, it has been unable to ship part of the 670G to new users, and may not be able to meet demand until 2018. In addition, the insurance company Anthem has said it won't cover the 670G because it has concluded "there is not yet enough data on the longer-term safety and efficacy" for the system. Meanwhile, although Medicare agreed in January 2017 to cover the Dexcom continuous glucose monitor for beneficiaries who use insulin, the agency recently determined that the device would not be covered if beneficiaries use the accompanying smartphone app that reads the glucose levels via bluetooth, because it doesn't meet the definition for "durable medical equipment." The decision means that seniors have to carry around a separate receiver device, and don't have access to the share function. Dexcom is negotiating with federal regulators to work out a solution. In a recent blog post, Ahn wrote "While CGM approval by Dexcom is a huge win overall (it really is), restricting smartphone integration is absolutely ridiculous." In another blow to the diabetes technology world, major pump manufacturer Animus recently announced that it was pulling out of the market and is shifting its approximately 90,000 current customers to Medtronic. Not surprisingly, some of Medtronic's competitors are offering deals to lure them to their own products. Despite the roadblocks, Kowalski says, "I have tremendous optimism about the future for people with type 1 diabetes. These tools are really starting to ... improving blood sugar and making life easier. And that's a great thing. The more options the better."